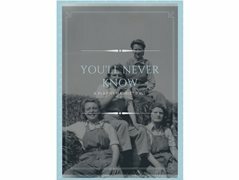 You’ll Never Know tells the story of three young girls who move to the Yorkshire countryside to join the Women’s Land Army. One is a MI5 Spy and the other two are high ranking socialites. Each girl has to face their own trials and tribulations, be that- tracking down an enemy of the state, holding down an unhappy relationship for the sake of ones inheritance, forbidden romance, fighting with the head Land Girl who knows the ropes, or simply, mucking out the pigs. Slowly but surely each problem brings the girls closer together, closing the class divide and making them realise one isn’t much different to the next, and that they are all indeed fighting the same war. The Villain of the story, Daniel is the abusive partner of our protagonist. He controlling, demanding, and has one hell of a temper. Unknown to everyone else in the play he is an enemy of the state.